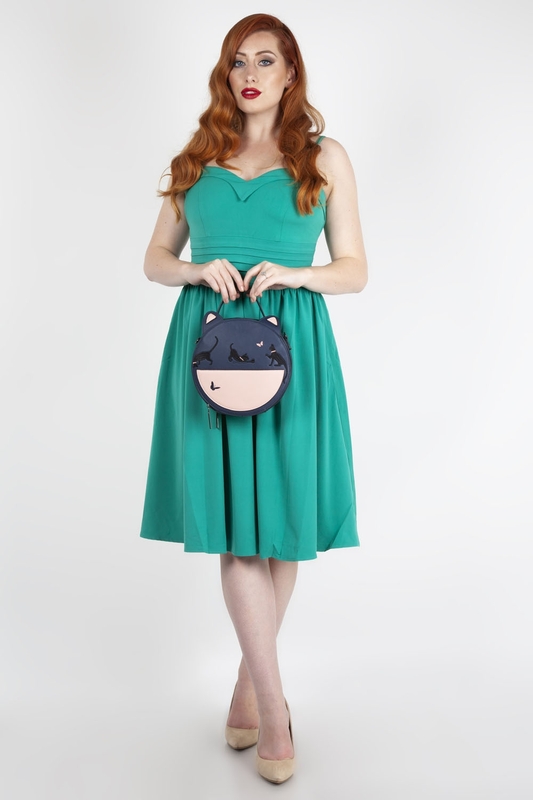 Add a quirky statement to your vintage-style outfit with our Joanie Round Kitty Handbag. 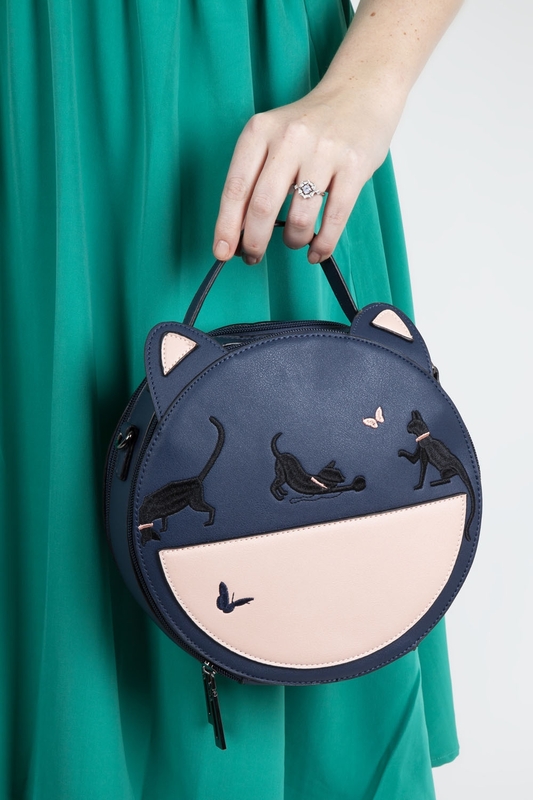 This circular accessory is more than just a pretty face with it’s optional shoulder strap, dual compartments and external card holder (no more fumbling for your bus pass!). They say trends are cyclical, and in this case it literally is! Love the look? 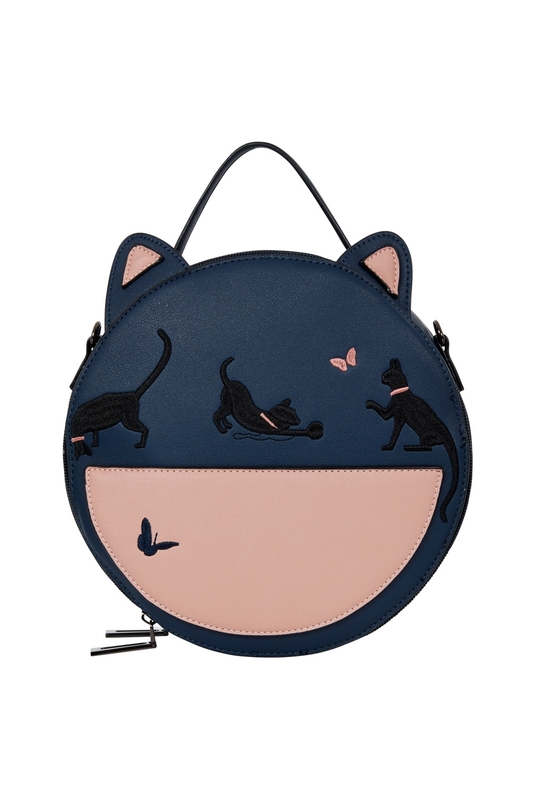 Check out the Pheobie Black Kitty Bag!